Dr. Diana Farmer is a pediatric and fetal surgeon. She is the Professor and Chair of the UC Davis Department of Surgery, the Surgeon-in-Chief of the UC Davis Children’s Hospital, and Chief of Pediatric Surgery at Shriners Hospital for Children—Northern California. She has been inducted into the Royal College of Surgeons of England and the United States’ Institute of Medicine of the National Academies. Dr. Farmer is a past president of the American Pediatric Surgery Association, and is a stem cell scientist focused on prenatal repair of spina bifida. Dr. Ameh is a professor of Pediatric Surgery at the National Hospital in Abuja, Nigeria. Dr. Ameh is a co-editor of the text “Pediatric Surgery: A Comprehensive Text for Africa,” and is Chair of the National Surgical, Obstetric, and Anaesthesia Plan Committee for Nigeria. He has worked as the lead of the workforce, training, and education working group for the Lancet Commission on Global Surgery. Dr. Ameh was an expert participant of the Fourth Meeting of the WHO Global Initiative for Emergency and Essential Surgical Care, where he served as Vice Chair of the advocacy working group. He is also Vice Chair for the West African College of Surgeons Surgical Plan Committee. Dr. Ozgediz is an Assistant Professor of Pediatrics and Surgery at Yale University Medical School. He has maintained a focus throughout his career on global health and surgical capacity building. He was a co-founder and is actively involved with the group Global Partners for Anesthesia and Surgery (GPAS), an organization focused on the improvement of peri-operative services in Kampala, Uganda. Dr. Kaseje is a pediatric surgeon committed to global health equity and improving access to pediatric surgical care in resource limited settings. She has joint appointments with Doctors without Borders and University Hospitals Geneva. Recently, she implemented a capacity building program for pediatric surgical care provision in Haiti, as well as a pilot project training Community Health Workers to identify and refer pediatric surgical cases to the formal health system in Western Kenya. She is actively involved in the Global Initiative for Emergency and Essential Surgical Care at the WHO and is Principal Investigator of the GICS team collaborating with the “Surgery for the People” initiative in Nicaragua. Professor Banu recently began working as Executive Director of Chittagong Research Institute for Children (CRICS) in Chittagong, Bangladesh. Prior to this, she headed the Department of Pediatric Surgery at Chittagong Medical College Hospital (CMCH) for 23 years, and was instrumental in founding the department. She has been previously awarded the Rowan Nicks Scholarship and the Stephan L. Gans International Traveling Fellowship. She has been an invited speaker and visiting professor in over 17 countries and continues to serve as a driving force in the expansion of children’s surgical care in Bangladesh. Dr. Poenaru is a pediatric surgeon, Professor of Surgery and Pediatrics at McGill University, Montreal, Canada, and director of the Jean-Martin Laberge Fellowship in Global Pediatric Surgery. He has spent over a decade in East Africa, where he has started the first COSECSA pediatric surgical fellowship training program through BethanyKids, a faith-based organization in Kijabe, Kenya. He remains involved with BethanyKids, COSECSA, the Pan-African Academy of Christian Surgeons (PAACS), and KidsOR. He is also the Dean of the Faculty of Medicine of Universite Shalom Bunia (DRC) and educational consultant to the Edna Adan University School of Medicine in Hargeisa, Somaliland. Prior to joining the University of California, San Diego, Dr. Bickler was the consultant pediatric surgeon at the Royal Victoria Hospital in Banjul, The Gambia. He has served as a consultant for the World Health Organization on surgery in low-income countries and has published extensively on strategies for improving the surgical care in settings of limited resources. Dr. Bickler has edited two pediatric surgery textbooks for sub-Saharan Africa, and was a contributor to Third Edition of Disease Control Priorities (DCP3) and the Lancet Commission Global Surgery. He is also a co-investigator on a recently awarded 5-year NIH Health Professional Education Partnership Initiative grant for Mozambique. His research interests include surgical epidemiology and the role of surgical care in primary health care systems. Dr. Bickler received his medical degree from the University of California Irvine. He completed his surgical residency at Oregon Health & Science University and his pediatric fellowship at Children’s Mercy in Kansas City, Missouri. Dr. Siddiqui is an Assistant Clinical Professor of Pediatric Surgery at the Medical College of Wisconsin. Her research interests include the development of surgical technologies and the expansion of surgical technologies in resource limited settings. She has worked to expand access to laparoscopic surgery in Nicaragua and on capacity and service projects in Iraq, Palestine, Peru and Kenya. Dr. Cooper is Senior Anaesthetist at The Children’s Hospital at Westmead and St George Hospital Kogarah, Sydney, Australia. He is also Adjunct Professor of Anaesthesiology, at the School of Medicine and Health Sciences, University of Papua New Guinea. He currently serves as Chair of the Paediatric Anaesthesia Committee of the World Federation of Societies of Anaesthesiologists. Dr. Gathuya is a pediatric anesthesiologist in Nairobi, Kenya. She was awarded a Head of State Commendation by the President of Kenya for her work in advancing Kenyan pediatric anesthesia practices, and was very instrumental in initiating the Pediatric Anesthesia Fellowship program at the University of Nairobi. She is also the Principal Surgeon at St. John Ambulance, where she has volunteered for over 20 years. Dr. Saldaña is a Peruvian pediatric surgeon with an interest in minimally invasive surgery, and is also the Director of International Services at the Instituto Nacional de Salud del Niño in Lima, Peru. She has completed several trainings in different countries in Latin America (Argentine, Cuba, Chile), US and Europe (Spain, France). She has a Master Degree in Endoscopic Surgery at the Autonomous University of Barcelona, Spain. She has volunteered several times in pediatric surgical missions in her country and knows very well the real situation of children´s health in Latin America. Dr. Kamalo is a neurosurgeon and lecturer at the University of Malawi College of Medicine. He is also a member of the Editorial Board of the Malawi Medical Journal, and is on the Executive Committee of University of Malawi College of Medicine’s UNESCO Chair in Bioethics. 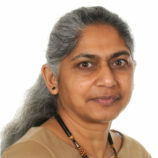 Dr. Rashmi Kumar is a lecturer and Pediatric Intensivist at the University of Nairobi/ Kenyatta National Hospital in Kenya. She is Kenya’s first Pediatric Intensivist and was instrumental in starting Kenya’s first Pediatric Critical Care Unit, thereby leading to a tremendous reduction in deaths among critically ill children who previously could not access such services. Dr. Kumar is currently spearheading the Pediatric Emergency and Critical Care Fellowship programme in the country, with a goal towards human capacity development in the field of Pediatric Critical care. She is an Instructor with the Society of Critical Care Medicine in the Pediatric Fundamentals of Critical Care, involved in training pediatricians, residents and medical officers towards improvement in capacity building. Her four-year tenure as an Executive Board member of the Kenya Pediatric Association focused towards optimal medical care of all children in the country, thereby improving the lives of Kenyan children. Dr. Ki Kélan Bertille earned her degree as Maître assistant and is an Anesthesiologist at Charles de Gaulle Peadiatric University Hospital in Ouagadougou, Burkina Faso. She also teaches at the Université Ouaga I Pr Joseph Ki-Zerbo. Dr. Marilyn Butler is a Professor of Pediatric Surgery at Oregon Health Science University. She has a history of clinical work in Vietnam and China and was the founder of the Global Paediatric Surgery Networks (GPSN), a clearinghouse for resources and collaborations for pediatric surgeons around the world. Dr. Madhuri is a Senior Professor and Head of Pediatric Orthopedic Surgery at the Christian Medical College and Hospital in Vellore. She is also the Immediate Past President of the Paediatric Orthopaedic Society of India and editor in chief of the Paediatric Orthopaedics and Related Sciences. Dr. Sekabira is the Consultant Paediatric Surgeon and Head of Paediatric Surgery at Mulago, National Referral and Makerere University Teaching Hospital, the only centre for paediatric Surgery in Uganda. He is a founding member of COSECSA (College of Surgeons of Eastern, Central and Southern Africa) and a member of the Association of Surgeons of Uganda. He has been a Hugh Greenwood Lecturer at BAPS in Edinburgh, UK 2015, and also a Stephen L. Gans Lecturer at the American Academy of Paediatrics, San Francisco, USA 2016, and an awardee of an Honorary Fellowship of the American Academy of Paediatrics. He was also the guest lecturer of the Swedish Association of Pediatric Surgeons, and has experience with pediatric surgical camps in the region as part of Global Surgical partnerships. Dr. Yapo is the Deputy Chief Surgeon of the Highlands Region and is based in the Mt Hagen Referral Hospital in Papua New Guinea. He was the third fully qualified pediatric surgeon in PNG, and is the President of the Papua New Guinea Association of Surgeons. He completed his pediatric surgery training at the University of Papua New Guinea (UPNG), including time at Westmead Children’s Hospital in NSW, Australia. Dr. Oldham currently serves as the Surgeon-in-Chief of Children’s Hospital of Wisconsin. He has been a leader in studying quality improvement in Children’s surgery in the United States. He currently serves as the medical director of the American College of Surgeons Children’s Surgery Verification Program, and Chair of the Verification Committee. He is also a past president of the American Pediatric Surgery Association.